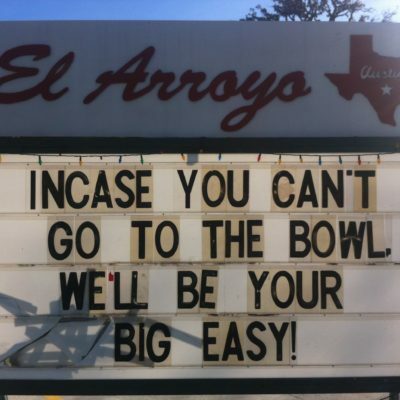 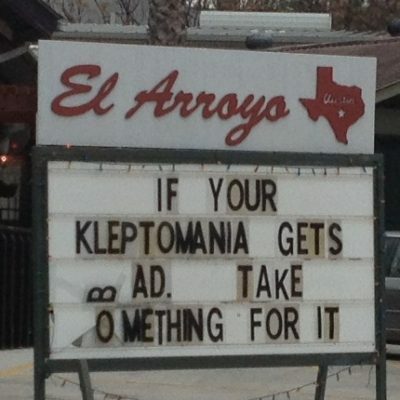 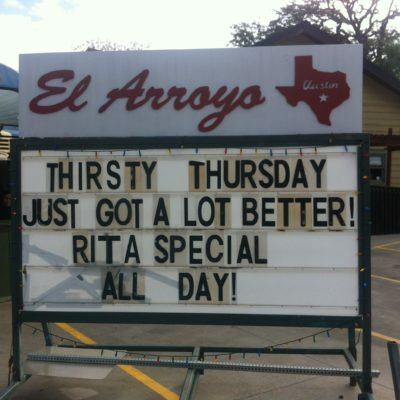 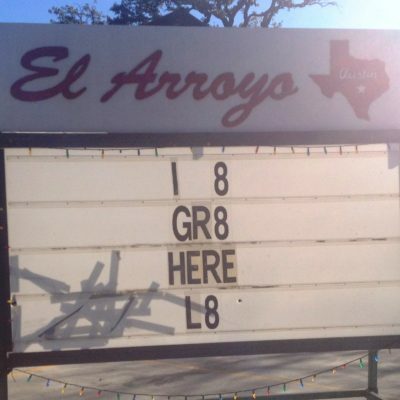 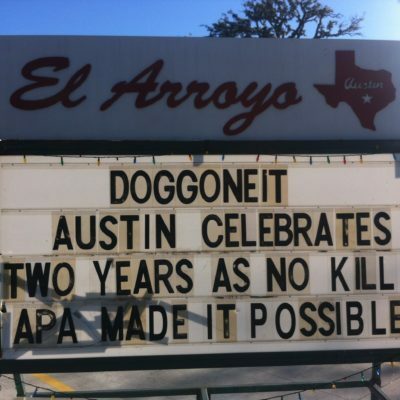 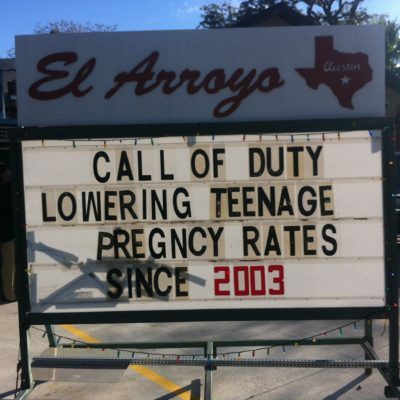 Across the street from AQUILA’s downtown office is El Arroyo, a Tex-Mex restaurant famous for its witty marquee sign out front. 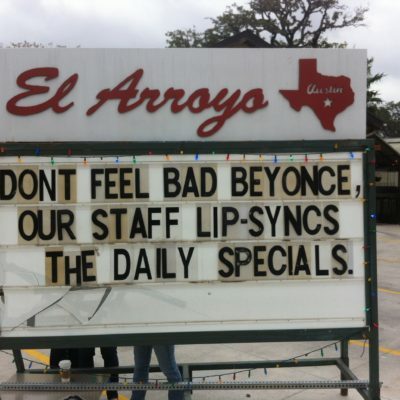 Updated daily, the sign often pokes fun at or shines a light upon current events and pop culture. 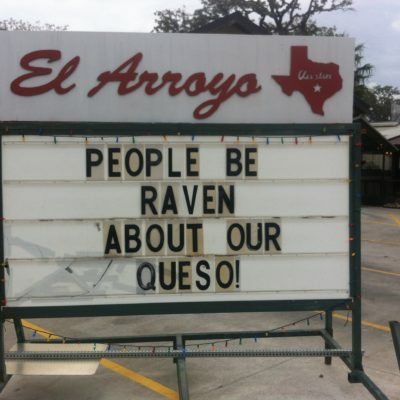 We take a daily photo so we can share these with you for you to enjoy as well.